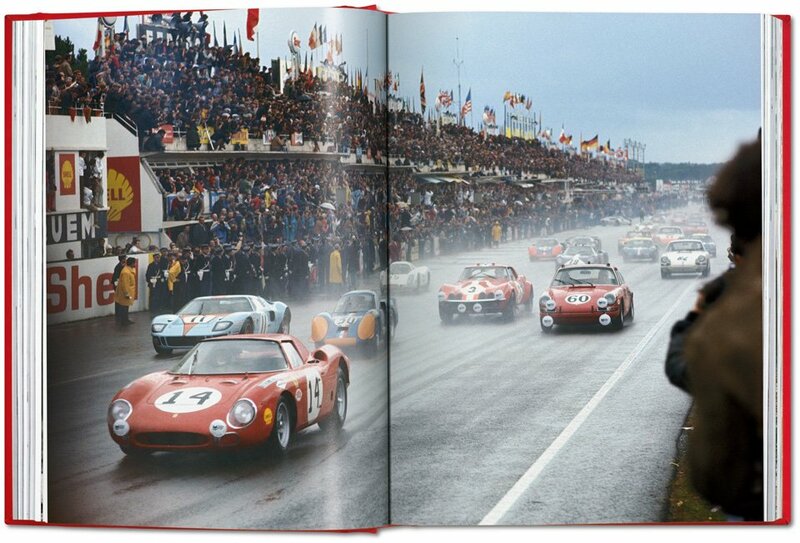 This 514-page work features an exclusive look into the Ferrari Archives, housed in a V-12-inspired display case. How much would you pay to call yourself the ultimate Ferrari collector? Since the cheapest barrier of entry into the exclusive Maranello club is the $215,000 Portofino model (if you're buying new), it's obvious that Ferrari weeds out the frugal-minded. 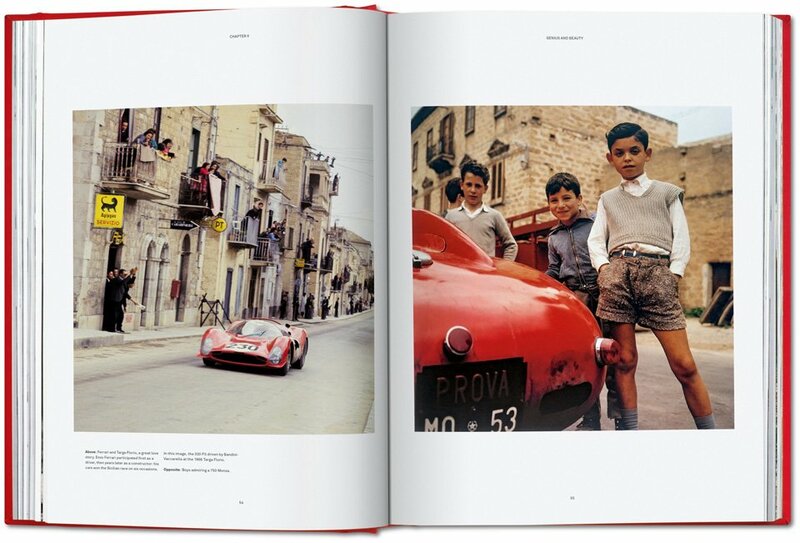 Case in point is Ferrari's new coffee table book, a version of which costs $30,000. 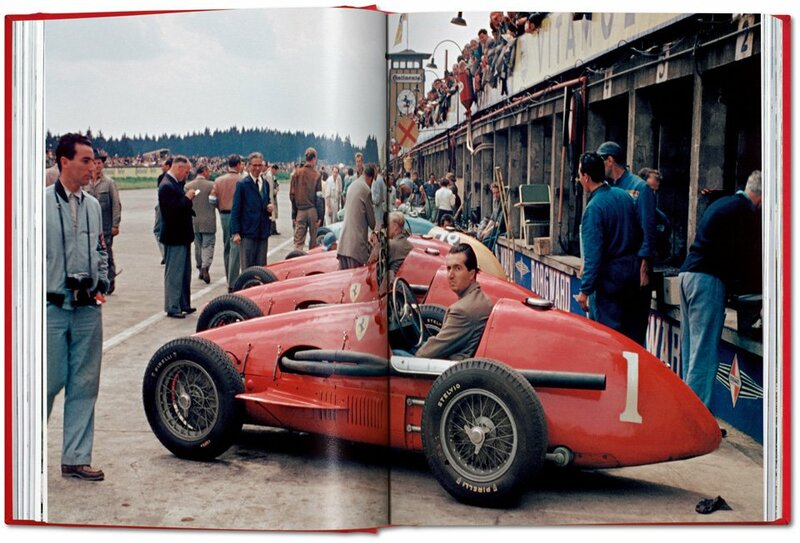 Italian journalist Pino Allievi and art book publisher Taschen worked with Ferrari to put together this 514-page compendium, which includes photographs, drawings, and documents from Ferrari's private archives. 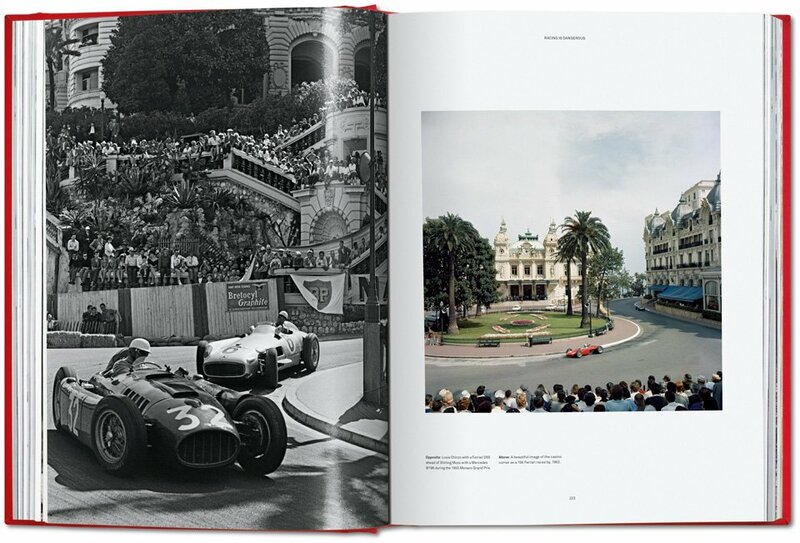 In addition, the book features an appendix of every Ferrari race win since 1947, including original documents from many iconic Ferrari racing drivers. Only 1,947 total copies of "Ferrari" will be made, the first 250 of which are the $30,000 Art Editions. This edition comes with a display case and bookstand designed by Marc Newson, which is meant to resemble a Ferrari V-12 engine and exhaust headers. 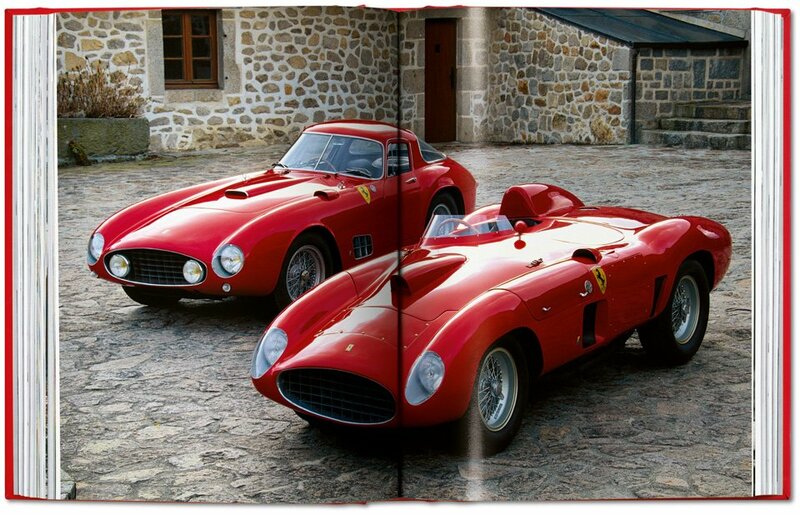 All 250 copies are signed by Piero Ferrari (son of Enzo Ferrari), Fiat-Chrysler Automobiles chairman John Elkann, and the late Sergio Marchionne. The Art Edition pedestal and case in closed position. The remaining 1,697 Collector's Edition copies cost a slightly more reasonable $6,000 and include the aluminum V-12 display case and Piero Ferrari's signature but ditch the exhaust stand and the signatures of FCA's personnel. 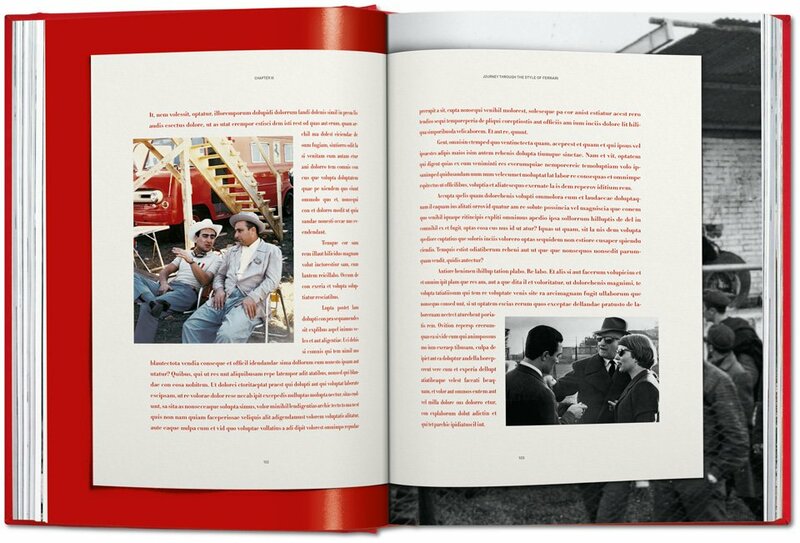 A trailer for "Ferrari" was released in late May but the book itself isn't expected to hit shelves until October, although we're certain that dedicated Tifosi will snag every last copy before it even comes out. Following the tragic death of Marchionne last week, Ferrari fans will hand over $30,000 without batting an eye for the chance to own something with the late Ferrari (and FCA) CEO's autograph. More than 150 Dinos gathered for a shoot at Ferrari's home of Maranello. Spoiler: The movie car was only a replica Ferrari, but we don't care, and we suspect you don't either.